Feature trailer for Yogi Bear. 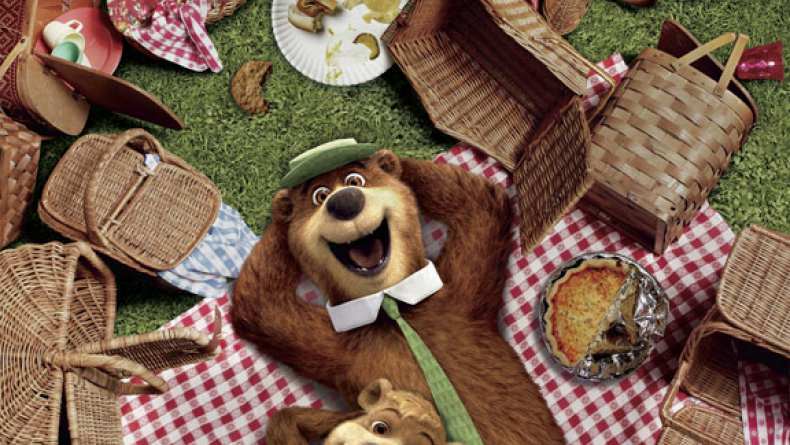 Everyone's favorite pic-a-nic basket-stealing bear comes to the big screen in Yogi Bear. Jellystone Park has been losing business, so greedy Mayor Brown decides to shut it down and sell the land. That means families will no longer be able to experience the natural beauty of the outdoors — and, even worse, Yogi and Boo Boo will be tossed out of the only home they've ever known. Faced with his biggest challenge ever, Yogi must prove that he really is "smarter than the average bear" as he and Boo Boo join forces with their old nemesis Ranger Smith to find a way to save Jellystone Park from closing forever.